There’s no doubt that planting a hardy apple or cherry tree is planting the seed of future memories. But there are things to know before you grow. Before you start digging, there are 5 important factors to keep in mind that will help ensure a fruitful experience. #1 – How long will you be living in that location? That backyard apple tree that supplied the entire neighborhood with an annual pie-making extravaganza was probably at least 10 years old. If you’re not sure how long you might be living in a certain location, it’s important to understand that although planting the tree now is incredible, you may or may not reap the rewards prior to moving. 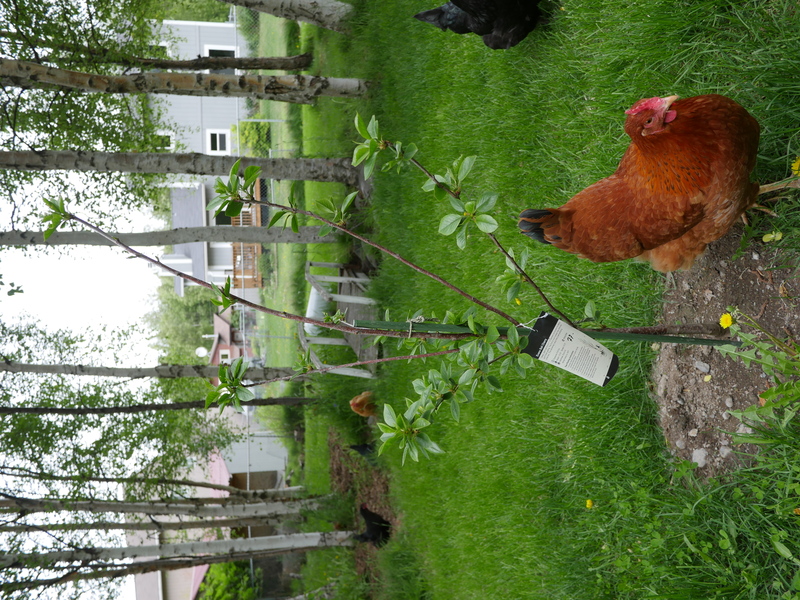 In the photo below, this Evans Bali sour cherry tree was purchased from a local greenhouse as a small bare-root tree and has been planted in the ground for 2 years. 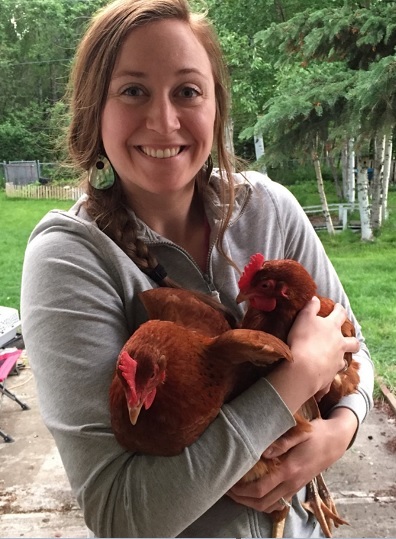 Notice the chicken in the photo, for size reference & for cuteness. Depending on what kind of tree you plant, it can take years & years to fully mature and start producing an impressive amount of fruit. #2 – Know the mature size of the tree. When you buy them in the store, they look small. But over the years, a tree that started only 4-feet tall and 2-feet wide might grow into a massive 20-feet tall with a 20-foot diameter. If you want to end up with a giant tree, make sure you give it proper space to grow into. Do your research on fruit tree varieties and potential height/diameter – each fruit type is different. Or maybe you were anticipating that 20ft x 20ft tree, but didn’t realize that the fruit type you chose only grows to 6ft x 6ft. Take the time to figure out how much space you have to fill long-term, and find a fruit tree(s) that’s a good match. Don’t make a mistake that will take you years to discover. #3 – Be aware of your planting climate zone. Where you live makes a big difference in whether your newly planted tree with flourish or die. 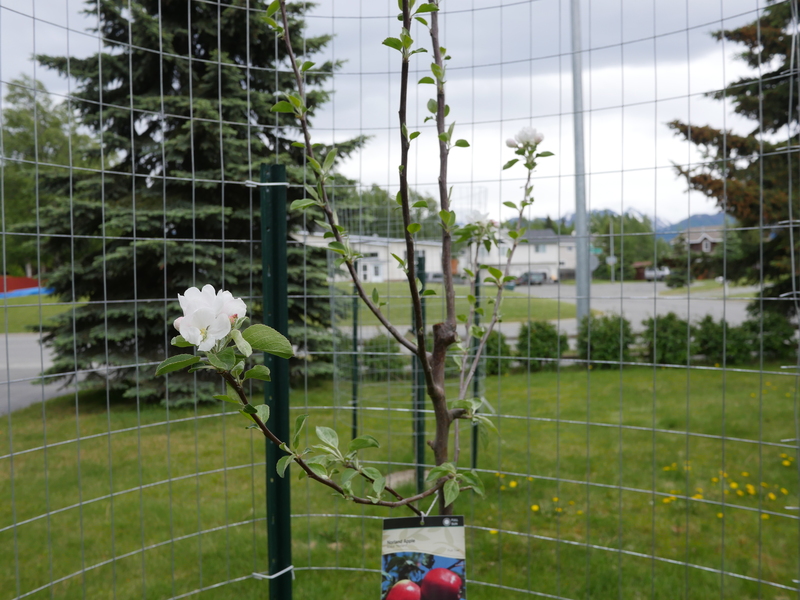 Living in Anchorage, Alaska, I was extremely selective about my fruit tree varieties. I stopped by a local nursery, took an inventory of all types they had in stock, then went home and did some serious research. For where we live in Anchorage, Alaska we’re arguably a Zone 3 area for planting. (Alaska is filled with micro-climate zones.) Find out what your garden climate zone is so you can choose fruit tree varieties that will do well in your area. 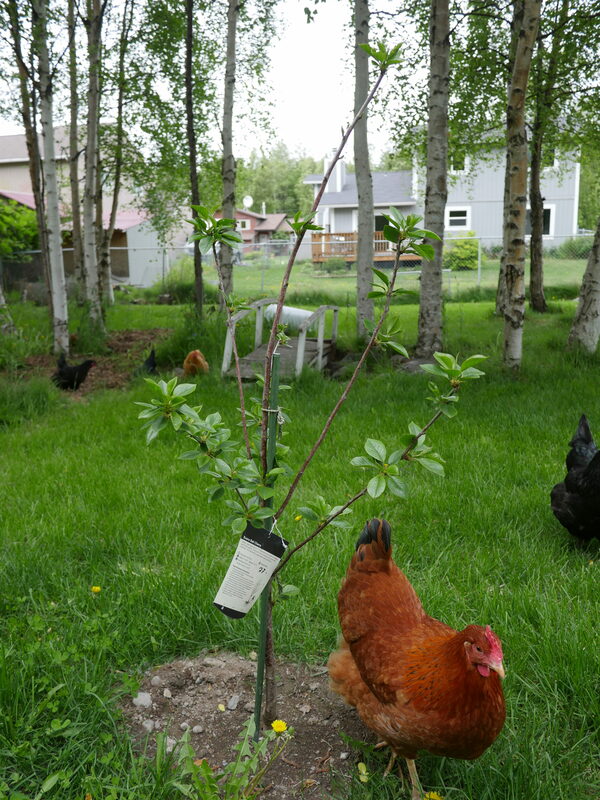 #4 – Some fruit tree varieties need a “friend”. Learning about the “birds & the bees” isn’t just for people. Many plants need a pollinator to reproduce, too. Plenty of varieties of fruit trees need at least one more similar tree variety nearby in order to cross pollinate and create fruit. Apple trees are a common type of fruit tree that need a pollinator (meaning you need to plant at least 2 if you want to get apples). If you choose to only plant a single apple tree, you’re gambling that someone in your nearby neighborhood has an apple tree, too, for pollination. And if that neighborhood pollinator doesn’t exist, your solo apple tree is now purely ornamental. If you only have space for one fruit tree, you might be better off choosing a variety that’s self-pollinating or self-fruiting (meaning it will give you fruit without needing another tree of the same variety nearby). #5 – Protect your investment from wildlife. Living in Alaska, our yard sees plenty of moose. A single moose can devour & kill a small fruit tree with just a few bites. Even a mature fruit tree can get serious permanent damage (or death) by a hungry moose stripping off its bark & tearing off limbs. Baby trees look especially delicious to herbivores in the winter when grass and bushes are covered in snow. If tree-eating wildlife is common where you live (moose, deer, caribou, etc. ), you should consider extra-tall fencing to protect your investment from being eaten. Our tall metal cages have saved the trees at least a dozen times. Whether it’s watching a hungry moose walk confused circles around it, trying to figure out how to get inside, or it’s finding dings from where a moose tried to bully its way through and failed, I’ve personally seen evidence time & time again where the trees would’ve been destroyed if it wasn’t for the protective fencing. Lastly, don’t forget to be patient. Planting perennial fruit trees is a different experience than planting a garden. During the tree’s first few years, you may or may not get anything worth picking. But with the proper care & time, your patience will be paid in heaps of fruit.